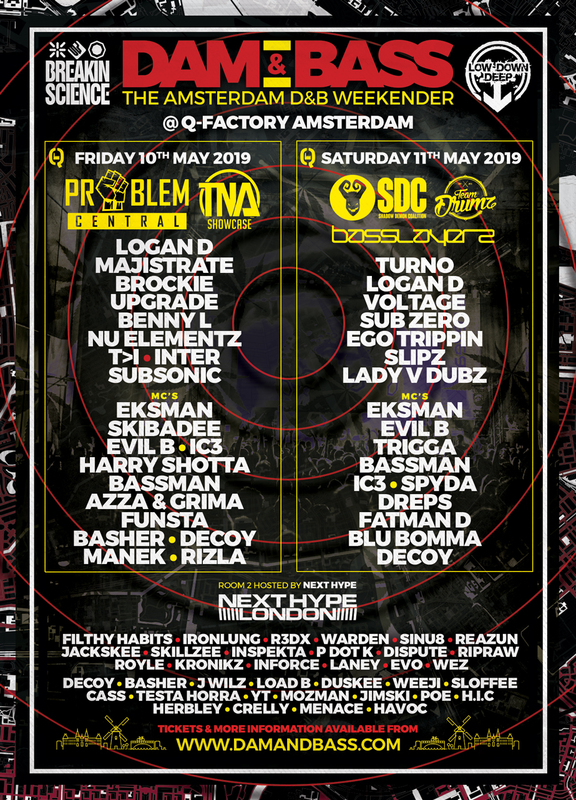 Taking place in everyone's favourite playground, the mighty Breakin Science and the unstoppable Low Down Deep Recordings come together for 48 hours of Drum & Bass hedonism in the heart of Amsterdam! 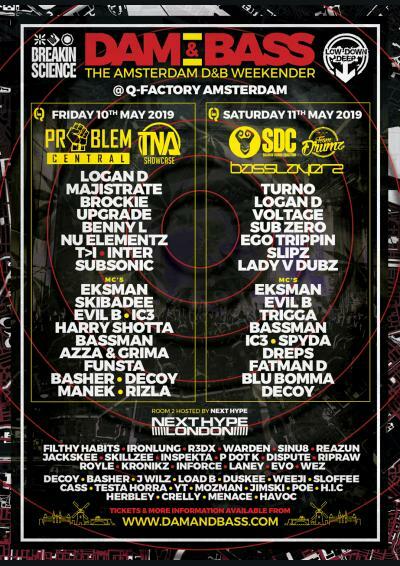 This brand new event will be taking place at Amsterdam’s ‘Q-Factory’ a purpose built music venue incorporating 2 Arenas and also for a more select few, there will be the opportunity to book a VIP Hotel Package staying in the ‘Q-Factory Hotel’ that completes this amazing complex… giving you unlimited access between your room & the party, Dam & Bass customers will be the only guests staying at the Hotel over the weekend! 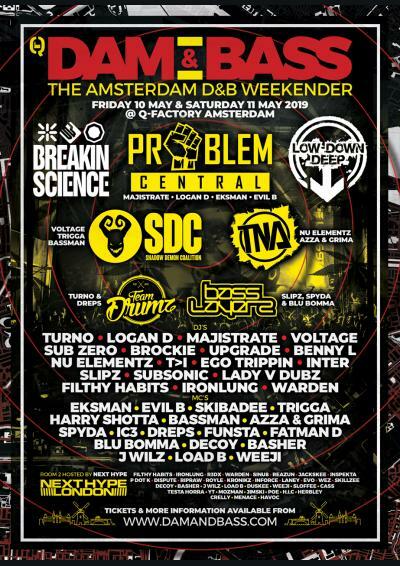 The 600 capacity double decker multi arena party cruise boat will be kitted out with extra sound & lights for your raving pleasure... Also featuring fully stocked licensed bars & hot food, this is a nightclub on the water! The Backstage is our standard room with the special stage bed as eye-catcher. 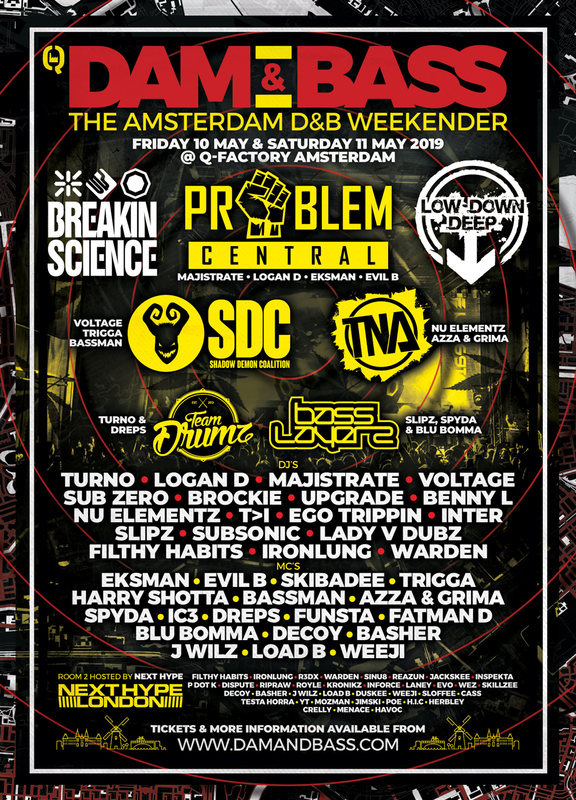 Furthermore, everything you need for a night in Amsterdam is present. Your own shower, toilet, minibar, safe and TV.